Is your library ready for the celestial event of the century? 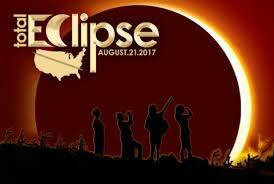 In 10 weeks, on August 21, 2017, the shadow of the moon will sweep across the United States from the Pacific Ocean to the Atlantic Ocean in a spectacle that hasn’t occurred in decades. In fact, the last total solar eclipse for the United States was nearly 40 years ago, and the next total eclipse that will be visible in the continental United States will be in 2024. Media Toolkits, where you will find a variety of resources to assist your library in developing educational and promotional materials. In Images and Videos, you will find lots of pictures for viewing, downloading, and printing out for display. There are also a variety of short clip videos for viewing, downloading, and showing during a program or event. In Downloadables there are posters of various sizes that you can print out for displays. 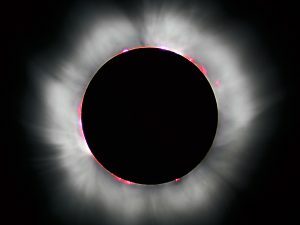 And in Media Templates there are Word templates that your library can use to promote your eclipse event to your community: Press Release, Public Service Announcement, Community Letter, and Media Alert. 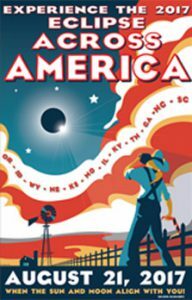 Just a few things to help get you started with planning library programs for Total Eclipse 2017! Stay tuned for Part 2! This entry was posted in Books & Reading, Education & Training, General, Information Resources, Programming, Technology, What's Up Doc / Govdocs and tagged 2017 Solar Eclipse Library Programing, free, Library Programing, Nebraska, public Library, Solar Eclipse, Total Eclipse 2017. Bookmark the permalink.